There’s no doubt that divorce carries many different challenges for men and women of all ages. However, older retired women may be facing significant challenges associated with planning for their own retirement after getting a divorce. According to research, and increasing number of individuals over the age of 50 and 65 are considering divorce. This is even been named as the phenomenon known as gray divorce. Those individuals who have spent decades married to one another or even who are in a second or third marriage may have complex issues that should be evaluated by an reputed divorce lawyer Tampa. This group of individuals have their own unique challenges and special considerations when working with an experienced divorce attorney. In the event that you and your spouse are able to get on the same page about critical divorce issues like division of property and spousal support, you may be eligible to pursue marriage dissolution through an uncontested divorce. 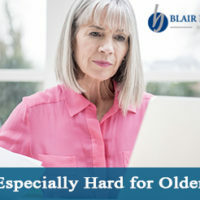 It is especially important for older women who are approaching retirement to consider their own unique needs as it relates to finances. When you and your spouse can get on the same page about splitting assets, women have to think about the fact that they typically live longer. Planning for a life together probably involved many conversations about how you’d live with one another and rely on one another in retirement. Suddenly splitting all these assets and causing both parties to think about retirement as individuals can present distinct challenges. Before agreeing to anything, both spouses should consult with their own Florida uncontested divorce lawyer about what’s best. One of the reasons why it’s good to try and work things out with your spouse is that you may not have interest or the resources in going through a long legal battle. Wanting to keep things simple with an uncontested divorce is very important, but you should never jump to this conclusion or hurry signing an agreement in order to put the matter behind you. In fact, you could be doing this at your own expense if you don’t have a Tampa uncontested divorce lawyer reviewing the agreement with your former spouse. There’s too much on the line for your future to take these decisions lightly. Working through an uncontested divorce may be in your best interests but you should not move forward with this without speaking to your lawyer. Although you may not have issues like child custody and child support in the equation as they might be big factors in other divorces, you need to have someone working towards the best outcome for you in terms of your division of property and spousal support. Dividing up finances for a couple who has built things together in a marriage can be complicated and this means hiring the right lawyer to help you. At a bare minimum, if you have been able to reach an agreement with your former spouse about how things will be divided, you want a lawyer to look this over to see how well this lines up with your individual retirement plans. In addition, you should never sign anything until you’ve had the opportunity to think about tax consequences and liquidity issues, too. For example, imagine that your spouse intends to leave you the shared home. Initially, this might seem easier for you since you won’t have to move and this is probably a fairly valuable asset. However, in the event that you might need long-term care and suddenly need to unload this asset, it might be challenging to get rid of the home on the market right away. You could be stuck with a valuable piece of property, but that may not be helpful in your immediate situation if you cannot afford to manage your own healthcare. These are the kinds of unique issues faced by older women going through a divorce. The right uncontested divorce attorney Tampa can help you determine what is in your best interests so that you can make educated decisions about your future while going through a divorce. As you can see, there are many complex issues to consider and ones that you should not handle on your own. The right lawyer can make a difference.